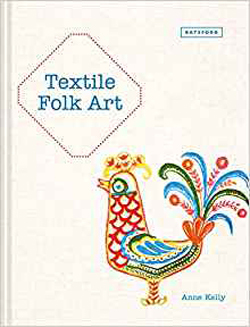 A practical and inspirational guide to textile folk art from cultures all around the world, accompanied by step-by-step projects. Folk and traditional designs have played a fundamental part in the development of textile art and craft. From the Far East to America, via Scandinavia and the UK, Anne Kelly explores the traditional motifs and techniques of textile folk art. Readers will learn how to incorporate folk motifs into their own textile work through step-by-step projects ranging from jewellery-making to embroidery and appliqué.